Many well-known creatives including Tim Ferriss, Steven Pressfield and Ed Catmull have spoken highly of the positive influence that routine has on creativity. That is to to say, if you want the highest creative output, you must schedule when you’re going to be creative. This might strike you as odd and counterintuitive, but the fact of the matter is, that if you want the highest creative output, you must condition your mind, in the same way you’d condition your body to lift heavy weights. What I mean by this is, is that inspiration rarely strikes a random person on the street, who is then possessed to write a masterpiece. Much more often – not to say always – creative output is a result of years of prolonged effort and hard work. What I’m getting at here is that creativity takes time to develop. 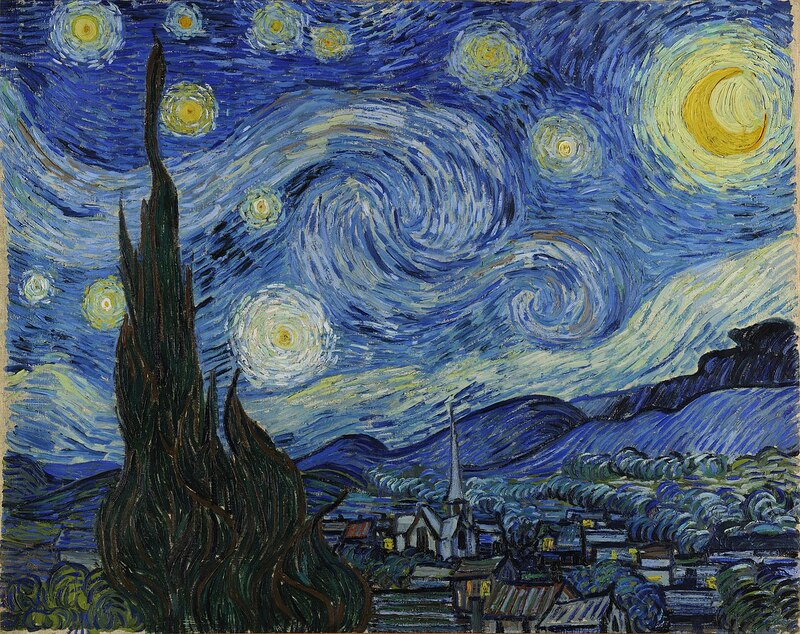 It doesn’t happen overnight – not even for Van Gogh. This means that if any of us are going to have a fighting chance at anything close to the creative output of a Van Gogh, we’re going to make a habit of being creative. We’re going to have to routinely exercise our creative muscles. Aristotle rightly phrased that excellence is a habit more than anything, and excellence in creativity is a habit as well. If we have creative aspirations, such as writing, creating a podcast or painting, we must schedule our efforts and optimally exercise our creativity on a daily basis. Another thing to consider, is that you don’t have to schedule hours and hours of work every day. In fact, I don’t believe that is the best use of your time, because if you do that, then you risk burning out quickly. What has worked for me, is to break creativity – or any other matter really – down into its smallest constituent parts. What this means is that because I want to write, I make a habit to write 300 words every day, which takes around 30 minutes. This habit is small enough to ensure that I continue, and stick to it every day, and it is big enough to ensure that the output is worthwhile. Obviously, there is nothing to say that I am not allowed to write more than 300 words, but 300 words is the minimum. What I’ve found is that writing this little bit every day is more than manageable. Most days I go over, and I’d say that I usually average between 750-1250 words per day – let’s call it an average of 1000 words per day to ease the math. That’s 365.000 words per year. That’s around four full length non-fiction books, or three very long novels. Now obviously, not every single one of those 365.000 words are going to be superb, top notch quality, but I’d be surprised if at least some of it wasn’t at least halfway decent. The point here is that all of us can be creative, and produce content for others which is worth consuming, if only we’d make it a habit, and I’d love to know more about you and your creative habits. What are your thoughts on how to become more creative, create better content and getting into the habit of creativity?